The 9th Biennial Conference L.M. 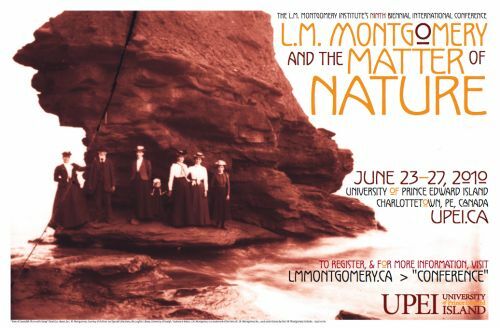 Montgomery and the Matter of Nature was held June 23- 27, 2010 at the University of Prince Edward Island, Charlottetown. The 8th Biennial Conference, L.M. Montgomery, Anne of Green Gables, and the Idea of “Classic” was held June 25-29, 2008, in Charlottetown, Prince Edward Island. Celebrating the 100th anniversary of the publication of Anne of Green Gables, the conference considered the idea of a classic and why this novel has maintained its popularity for over a century. This conference was an international celebration of imagination and creativity and for a critique of the meaning and power of the (popular) designation "classic." 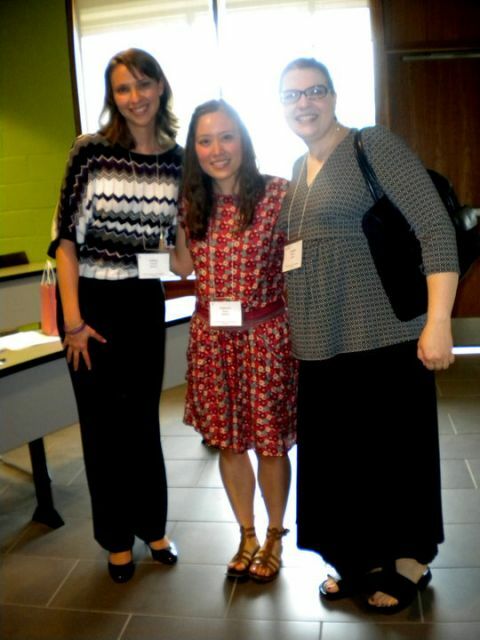 This conference inspired a collection of essays, Anne Around the World: L.M. Montgomery and Her Classic, edited by Jane Ledwell and Jean Mitchell. Presenter, Dr. Andrea McKenzie, receives instructions from LMMI staff member, Sara McLure (standing), and Conference volunteers Pauline MacPherson (lft) and Nancy Clark (rt). Dr. Margaret Doody gives Keynote Address and begins the conference. 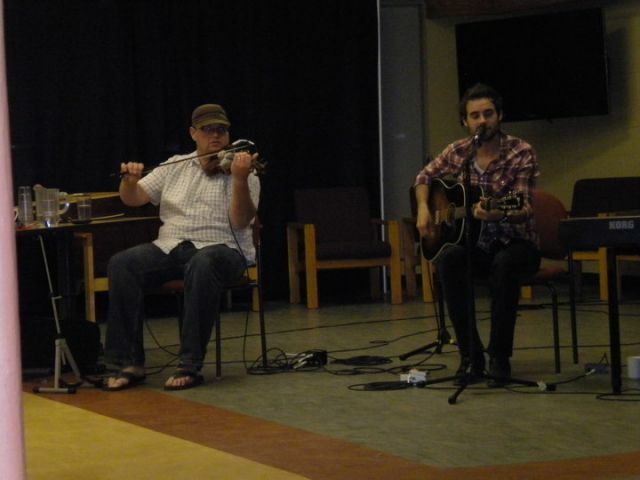 Book launch for After Green Gables held Friday at the conference. Some tasty seafood treats at the closing reception. Dr. Elizabeth Waterston, Dr. Elizabeth Epperly, and Dr. Mary Rubio (lft-rt),enjoy the banquet the second last night of the conference. President Wade McLaughlin (lft) speaks with Earle Lockerby of the L.M. Montgomery Society of Ontario at the reception. Attended by 150 people from all over the world, the 6th Biennial Conference, L.M. Montgomery’s Interior and Exterior Landscape featured keynote speakers, Professor Rosemary Johnston of the Institute of Technology, Sydney, Australia and Canadian writer, Rachna Gilmore. The conference also had presentations on a wide variety of topics, visits to Montgomery sites, and a performance of the one-woman play about Montgomery's life, “Maud of Cavendish,” written and acted by Anne-Kathleen McLaughlin of Ontario. It also inspired a collection of essays, L.M. Montgomery's Interior and Exterior Landscapes, edited by Rosemary Ross Johnston. L-R: Dr. W.P. 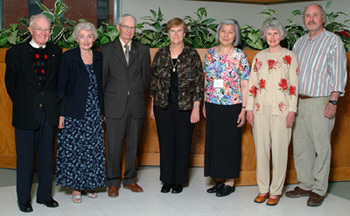 Bolger, Jennie Macneill, John Macneill, Dr. Mary Rubio, Yuko Izawa, Donna Campbell, and Ian Campbell at the 2004 conference banquet. The 5th Biennial Conference, L.M. 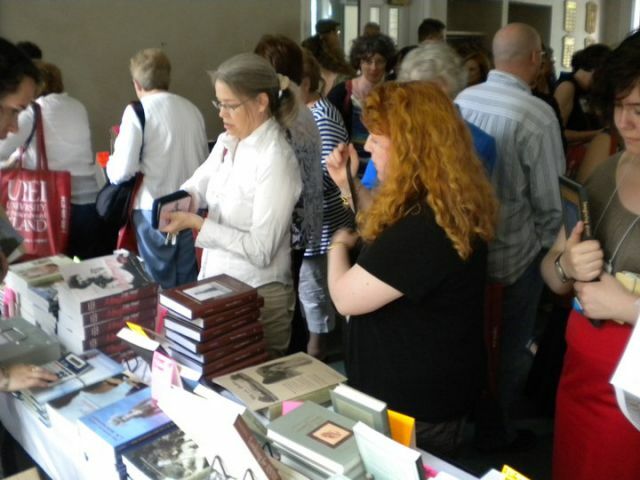 Montgomery & Life Writing drew about 130 enthusiasts and scholars from around the world. 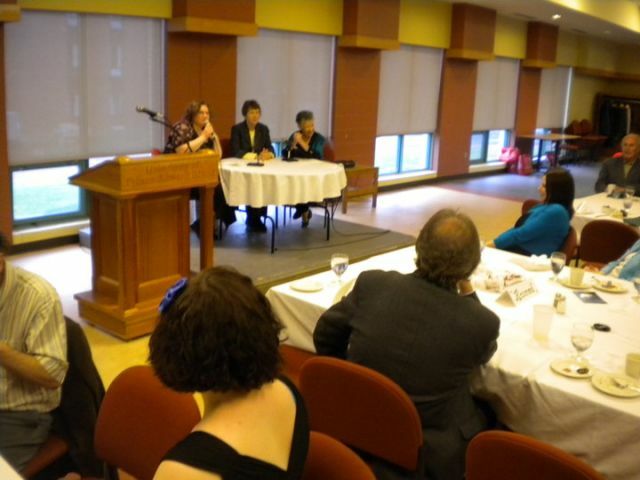 The keynote speakers were Dr. Irene Gammel of the University of Prince Edward Island and Dr. Mary Rubio and Dr. Elizabeth Waterston of the University of Guelph. 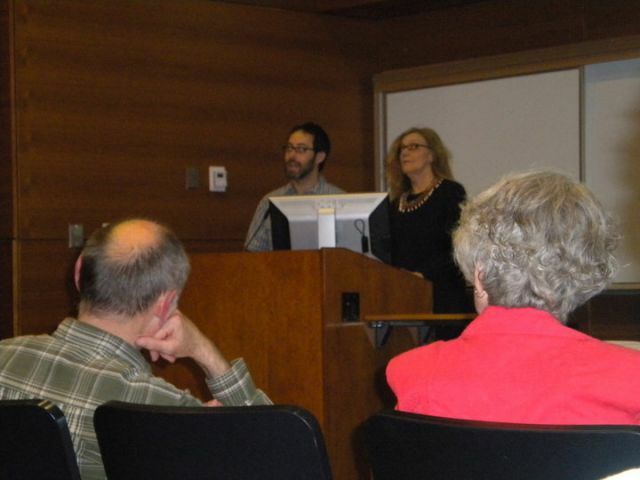 Doctors Rubio and Waterston, editors of the four volumes of Montgomery's Selected Journals, did a joint presentation on Montgomery's late adult novel A Tangled Web, while Dr. Gammel did a lecture entitled "Montgomery's Moonstorm: Where Life Writing Meets Fiction." Dr. Elizabeth Waterston signs her book, Rapt in Plaid, for Donna Campbell at the 2002 conference. 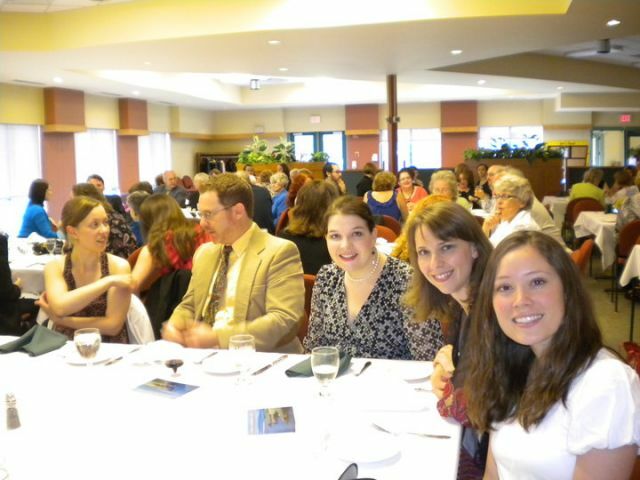 L-R: Dr. Elizabeth Epperly, Dr. Mary Rubio, Dr. Benjamin Lefebvre, and Dr. Jennifer Litster at the 2002 conference. The Intimate Life of L.M. Montgomery edited by Dr. Irene Gammel is based in part on presentations from this 2002 conference. The 4th Biennial Conference, L.M. Montgomery & Popular Culture featured more than 40 presenters whose presentations ranged from scholarly papers to personal reflections. Keynote speakers included, L.M. Montgomery’s granddaughter, Kate Macdonald Butler, Juliet McMaster's "Imagining it Away: Hair Red, Black, and Nut-Brown," and Edie Zakem's magnificent hand-sewn quilt demonstrated her meticulous research in choosing the images that would best reflect Montgomery's writing and life. Collector Ron Cohen discussed Montgomery's books as artifacts. 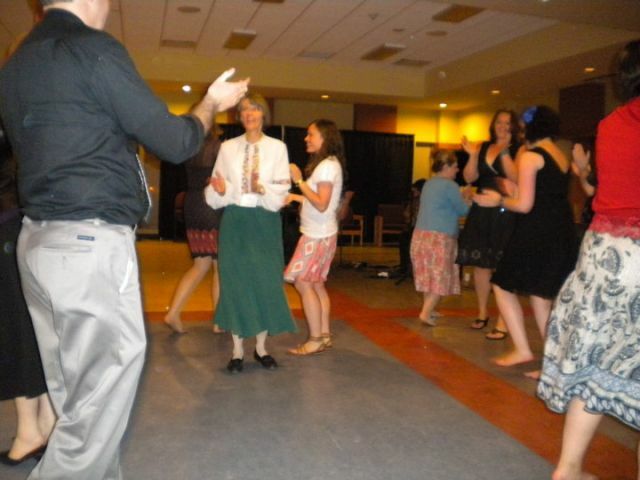 Making Avonlea: L.M. Montgomery and Popular Culture (Ed. Irene Gammel) contains essays based on papers presented at this conference. 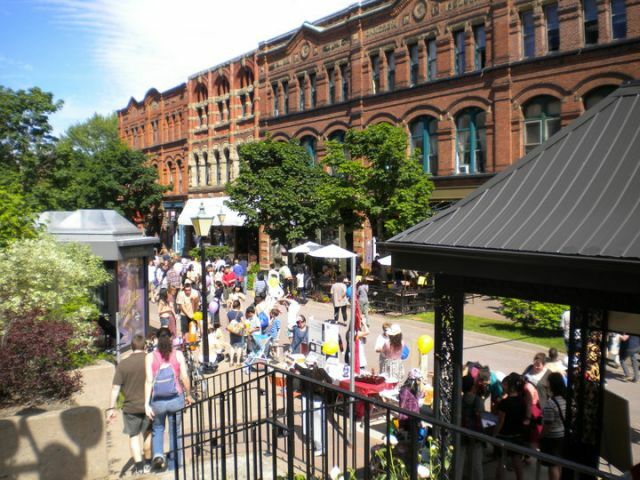 In collaboration with the Institute of Island Studies, the University of Prince Edward Island’s English Department, and the LMMI, this was the first scholarly international conference devoted to the investigation of the literature of small islands, with almost 60 presentations from international scholars and creative writers. One hundred of the 250 people who attended the conference participated in the Montgomery sessions which looked at Montgomery's treatment of islands – virtual, metaphorical, and physical - in her writing. Message in a Bottle: The Literature of Small Islands (Eds. Laurie Brinklow, Frank Ledwell and Jane Ledwell) contains partial proceedings of the conference, including two papers on Montgomery. The 2nd Biennial Conference, L.M. Montgomery and Canadian Conference focused on how the author’s works are integral to Canadian culture. L.M. Montgomery's journals and letters, as well as her fiction and poetry, reflect and comment on the literature, events, ideas, and discoveries from the 1890s to the 1930s and beyond. Twenty-four papers were presented in fourteen plenary sessions, including a panel discussion on Montgomery's poetry. L.M. Montgomery and Canadian Culture (Eds. Irene Gammel and Elizabeth R. Epperly) contains essays based on papers presented at this conference. The 1st Biennial Conference, L.M. Montgomery and Her Works, was held in June, 1994 and was the first major event for the newly formed L.M. Montgomery Institute. The programme featured ten papers by international scholars on a wide range of topics, with a speech delivered by Adrienne Clarkson on how Montgomery's writing helped her learn about Canadian culture.